Completely remodeled 2800 sq ft 1.5 story home on 5 acres in the LEO SCHOOL DISTRICT!! Woods behind home with lots of deer and wildlife! 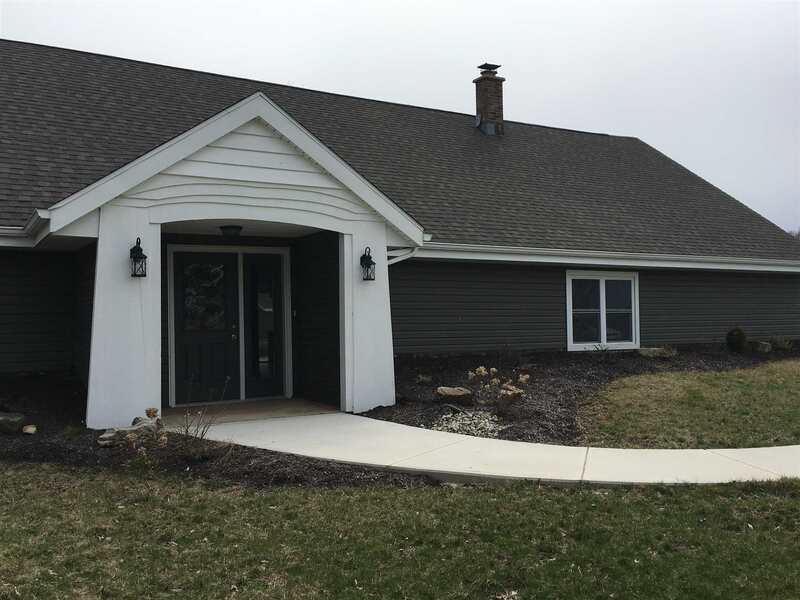 Updates include: siding, roof, windows, kitchen cabinets, granite countertops, flooring, paint, central air unit, furnace (heat pump), appliances, both bathrooms, all new light fixtures. Feels like a brand new home! Master bedroom is on the main floor. Den could be 4th bedroom with closet added. Large great room with vaulted ceiling. Extra storage room upstairs along with brand new storage shed (12x26). Shed doors will be painted and pond will be filled in prior to closing.